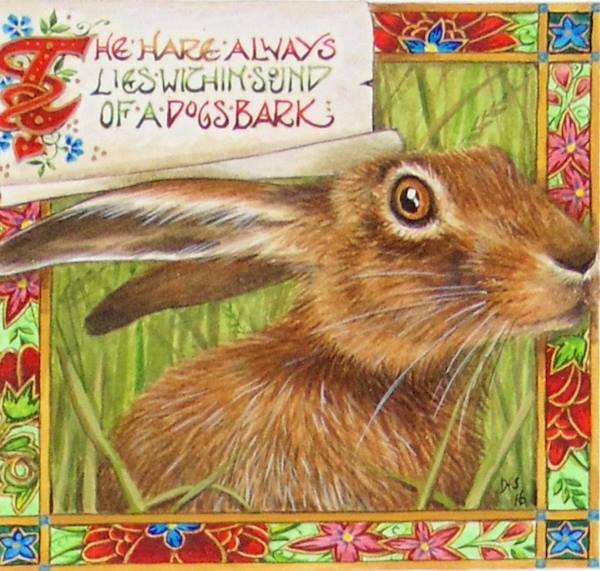 The Hare Always Lies within the Sound of the Dog’s Bark by Debby Faulkner Stevens. Did you know nearly half of all households in the United States have a dog or cat, or both? If your household is one of them, you already know nothing beats the companionship of a loving pet by your side. There are more than 160 million dogs and cats living with their humans right now. But sadly, not all animals, or their caretakers, are as fortunate. Every year, millions of people have to give up their beloved companions to shelters due to unexpected financial hardship. The art in Seaside Art Gallery’s Animals in Art Show is stunning. When you buy an art piece from the show, a portion of the gallery’s art sales is donated to this year’s nonprofit recipient, the Coastal Humane Society. The show opens Feb. 2 and runs through Feb. 23. Melanie Smith, owner of Seaside Art Gallery, is an avid animal lover. “We love bringing this extraordinary art show to our community. 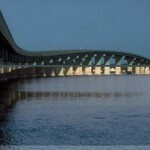 It celebrates the beauty of animals through art by wonderful artists in the Outer Banks and around the USA,” says Smith. Can’t Dogs Read by Sue Wall. You’re invited to a special reception at Seaside Art Gallery on Friday, Feb. 8 from 5 to 7 p.m. It’s open to the public. Refreshments are served. 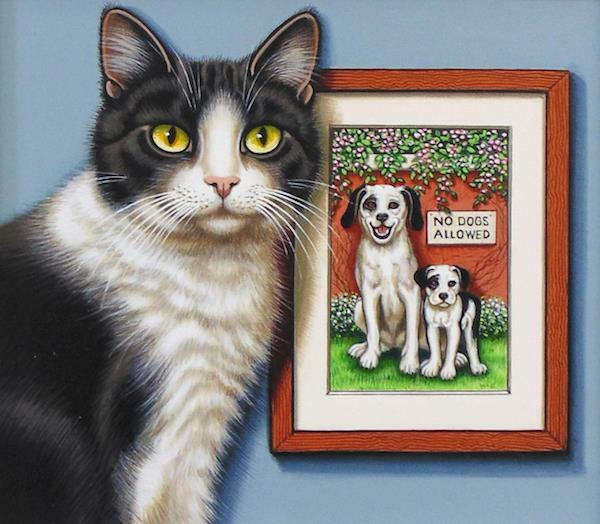 Hundreds of original works of art are on display portraying animals in all art forms – from canvas and animation art to jewelry and sculpture. The Coastal Humane Society is an all-volunteer non-profit organization dedicated to ensuring all animals are cared for and no caretaker is forced to give up a pet because of financial hardship. The organization has been helping over 6,000 animals and caretakers in Dare and Currituck counties since 1997.